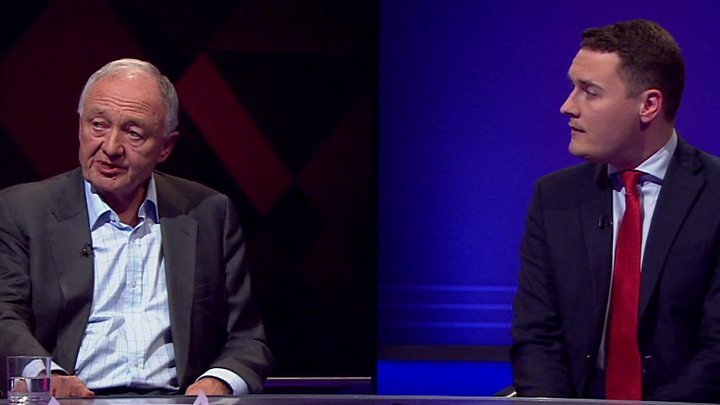 Ex-London mayor Ken Livingstone faces a new investigation into his comments about Hitler, Jeremy Corbyn says. The Labour leader said that since being suspended on Tuesday night, Mr Livingstone had "continued to make offensive remarks which could open him to further disciplinary action". These will now be considered by the party's ruling executive committee. 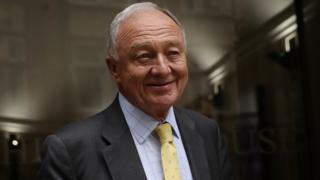 Mr Livingstone has continued to defend his comments about Hitler and Zionism and vowed to fight his suspension. Following the panel's decision, he said he had been "suspended for stating the truth", criticised the disciplinary process, said his comments had been misreported by the media and repeated his view that Hitler "did a deal with the Zionists". He also accused his critics of "lies and smears". Mr Livingstone was suspended by Labour for two years - one year of which he has already served since making the original comments in April 2016. But he has faced criticism from Jewish leaders and some Labour MPs, who say he should have been expelled. Media captionWes Streeting says the former London mayor has "brought the Labour Party into disrepute"
Mr Corbyn, a longstanding ally of the former London mayor, said: "Ken Livingstone's comments have been grossly insensitive, and he has caused deep offence and hurt to the Jewish community. "Labour's independently elected National Constitutional Committee has found Ken guilty of bringing the party into disrepute and suspended him for two years. "It is deeply disappointing that, despite his long record of standing up to racism, Ken has failed to acknowledge or apologise for the hurt he has caused. Many people are understandably upset that he has continued to make offensive remarks which could open him to further disciplinary action. "Since initiating the disciplinary process, I have not interfered with it and respect the independence of the party's disciplinary bodies. But Ken's subsequent comments and actions will now be considered by the National Executive Committee after representations from party members." Speaking to BBC News, Mr Livingstone brushed aside questions about the new NEC investigation, saying the reason he had not been expelled was because Labour lawyers knew the party would not have a "cat in hell's chance" if he challenged them in the courts. "A British judge is not going to say it's wrong to state a historical truth," he said. Mr Livingstone said he stood by his original comments and said he "can't recall the numbers of people" who had approached him to offer support. Challenged over the anger his comments have provoked, he added: "If anyone has been offended I apologise on behalf of those Labour MPs that lied in their tweets and their posts on their websites," going on to suggest that the "right wing Labour Party machine" had delayed the disciplinary hearing to undermine Mr Corbyn's local election campaign launch. The row first erupted in April last year when Mr Livingstone was defending Bradford West MP Naz Shah over claims she had made anti-Semitic social media posts. He said: "When Hitler won his election in 1932, his policy then was that Jews should be moved to Israel. He was supporting Zionism before he went mad and ended up killing six million Jews." The Chief Rabbi accused Labour of "failing the Jewish community" by not expelling him. Ephraim Mirvis said the decision "yet again failed to show" that the party was "sufficiently serious about tackling the scourge of anti-Semitism". Labour deputy leader Tom Watson said it was "incomprehensible" Mr Livingstone had not been expelled, while former leader Ed Miliband said he was "appalled" at the lack of remorse being shown. Mr Watson said the ex-London mayor's behaviour "discredits the party I love... I am ashamed that we have allowed Mr Livingstone to cause such distress. This shames us all, and I'm deeply saddened by it." Shadow attorney general Baroness Chakrabarti, who led an inquiry into claims of anti-Semitism in Labour, said she was "horrified" by the way Mr Livingstone had behaved in the aftermath of his suspension. But in a statement after the hearing, four Jewish Labour Party members, who gave evidence in support of Mr Livingstone, said that "those claiming offence on behalf of all Jews have no justification for doing so", adding: "It is the verdict, not Ken Livingstone, that has bought the Labour Party into disrepute." Prime Minister Theresa May will accuse Labour of "betraying the Jewish community in our country by letting Ken Livingstone off the hook" in a speech on Thursday.